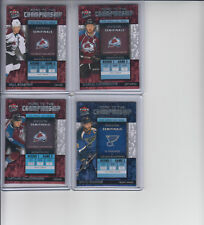 2011-12 UD Young Guns Gabriel LANDESKOG Colorado BV$$ HOT!! 2018-19 17/18 MVP Base Cards #1 - #200 Finish your Set. Stars, Goalies U Pick! Gabriel Landeskog. Upper Deck SPX Autographed Rookie. ANY INPERCTIONS YOU MAY SEE, ARE FROM THE TOP LOADER OR PENNY SLEEVE. ALL CARDS ARE IN MINT SHAPE, UNLESS OTHERWISE STATED . MINT Shape! 2018-19 18/19 UD Parkhurst Base Cards All Stars #201 - #330 You Pick!